Chad Boseman has already made quite a career out of portraying a variety of prominent African-Americans, from football star Floyd Little (The Express), to baseball great Jackie Robinson (42), to Godfather of Soul James Brown (Get on Up) to U.S. Supreme Court Justice Thurgood Marshall (Marshall). The versatile actor's efforts have been appreciated by the NAACP which has seen fit to nominate him for five Image Awards. Although Black Panther is a fictional character, the role is ostensibly of no less significance than the historical figures Chadwick has played in the past. That's because black kids have rarely had a superhero that looks like them to root for, even in Africa, where the Lord of the Jungle, Tarzan, was white, too. Consequently, sales for this Afrocentric origins tale have been through the roof, and it's still in theaters! For, the film not only features a dignified protagonist and a socially-relevant plotline, but it's also a worthy addition to the Marvel Cinematic Universe franchise. 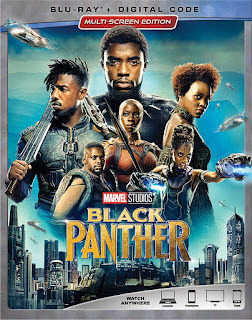 The picture was directed by Ryan Coogler (Creed) who made the most of his $200 million budget, between visually-captivating special effects and an A-list cast which includes Academy Award-winners Forest Whitaker (for The Last King of Scotland) and Lupita Nyong'o (for 12 Years a Slave), Oscar-nominee Angela Bassett (for What's Love Got to Do with It), as well as Michael B. Jordan, Daniel Kaluuya and Sterling K. Brown. At the point of departure, we learn that in ancient times the five tribes of Africa went to war over vibranium, a meteorite which imbues its holder with superhuman powers. Fast-forward to the present and we find T'Challa (Boseman) being summoned home to the fictional nation of Wakanda to assume the reins of power in the wake of the passing of his father, King T'Chaka (John Kani). Complicating matters is the fact that a number of other warriors covet the throne and that a South African arms smuggler (Andy Serkis) is trying to get his hands on some vibranium. Not to worry. 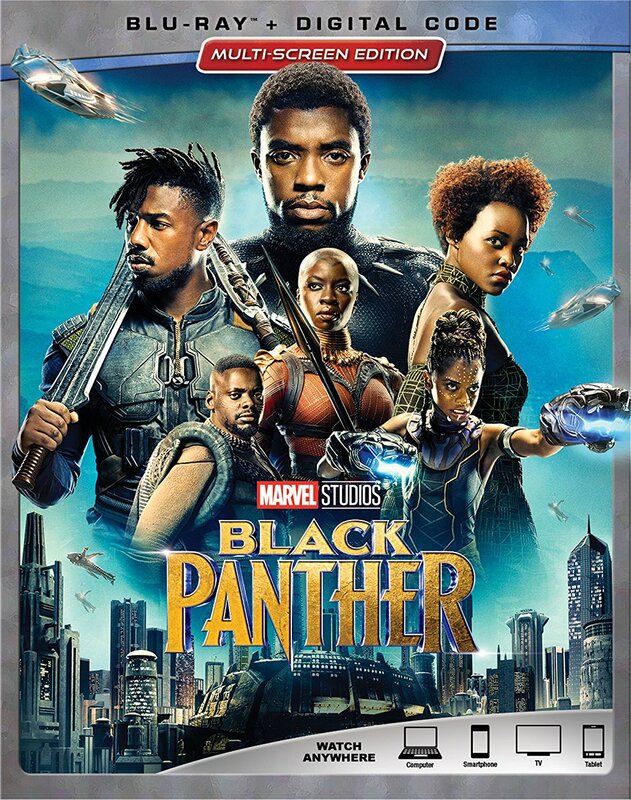 T'Challa has a capable CIA agent (Martin Freeman) and a trio of loyal females on his side in his 16 year-old sister (Letitia Wright), his ex-girlfriend (Nyong'o) and a two-fisted bodyguard (Danai Gurira). What ensues is an edge of the seat roller coaster ride every bit as entertaining as any Spider-Man, Wonder Woman or other superhero adventure. 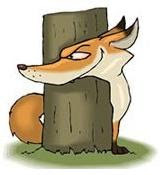 Simply 'Marvel'-ous! Blu-ray Extras: Director's Intro; Director's Commentary; From Page to Screen: A Roundtable Discussion – Delve into the film’s making; Crowning of a New King – Explore the world of Black Panther in all its color and complexity; The Warriors Within – Get to know Wakanda’s women and the actors who portray them; The Hidden Kingdom Revealed – Wakanda’s diverse people; Wakanda Revealed: Exploring the Technology; 4 Deleted Scenes: N. Meet and Greet, Okoye And W’Kabi Discuss the Future of Wakanda, T’Challa Remembers His Father and Voices from the Past; Gag Reel; Exclusive Sneak Peek at Ant-Man and The Wasp; and Marvel Studios the First Ten Years: Connecting the Universe.